Wisconsin Dells is a city in south-central Wisconsin, with a population of 2,678 people as of the 2010 census. 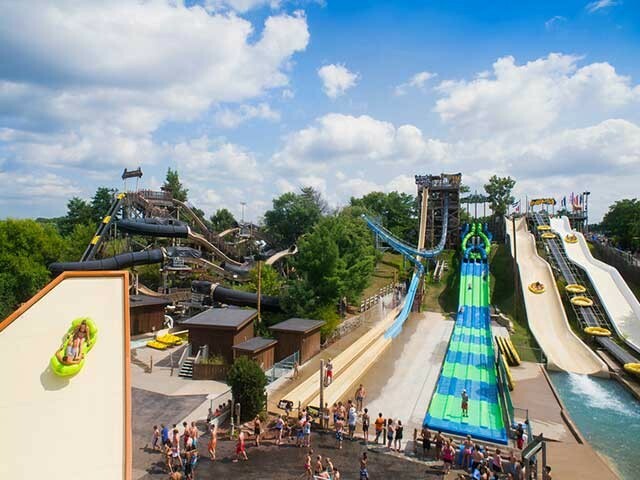 Here are The Top 10 Things to Do in Wisconsin Dells. Noah's Ark is the largest water park in the United States. 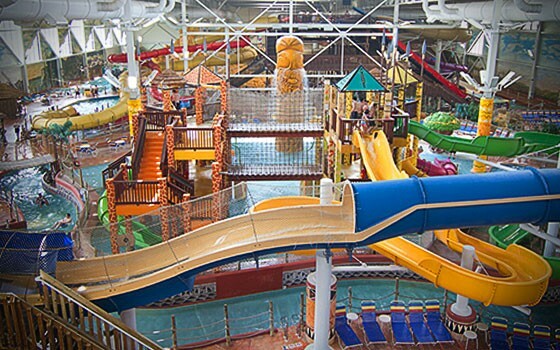 It features 51 water slides, and dozens of various attractions. 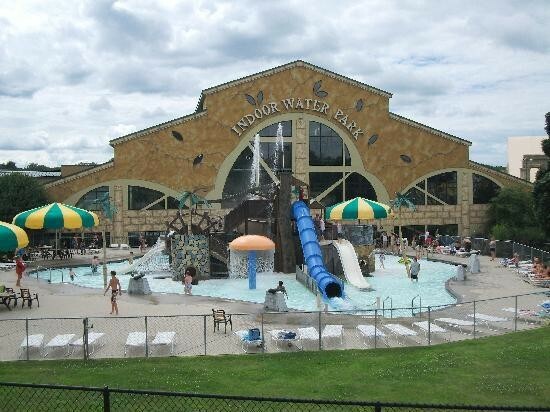 The Kalahari Resort and Convention Center is a water park resort chain with locations in Wisconsin Dells, Wisconsin; Sandusky, Ohio; and Poconos Mountains, Pennsylvania. Mt. Olympus consists of four areas of the park: Zeus' Playground, Neptune's Water Kingdom, The Parthenon, and Medusa's indoor water park. Tommy Bartlett's Water Ski & Jumping Boat Thrill Show, more commonly known as the Tommy Bartlett Show, is a popular tourist attraction in Wisconsin Dells. 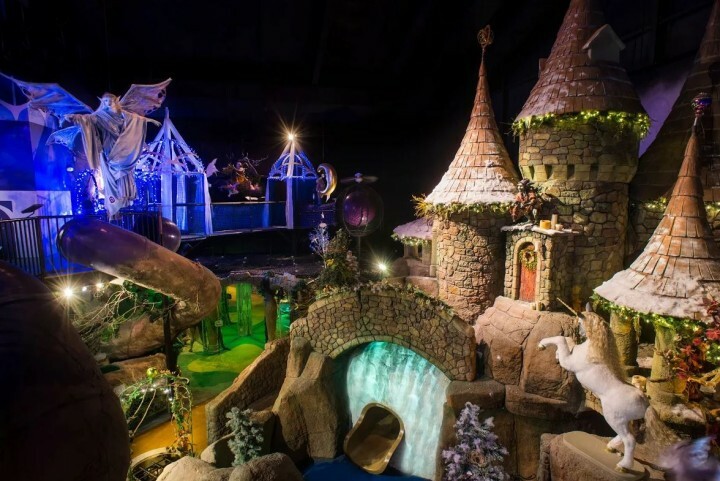 Wizard Quest is an 13,000-square-foot interactive center in Wisconsin Dells. Participants engage in a fantasy style live action role-playing game. It is the sister attraction to the long-running Tommy Bartlett's Thrill Show. Ho-Chunk Gaming - Wisconsin Dells is a Native American casino located in the Town of Delton. The studio building was built in 1875 by noted landscape photographer H. H. Bennett. The International Crane Foundation is a non-profit organization dedicated to the study and conservation of the 15 species of cranes. Mirror Lake State Park is a 2,179-acre Wisconsin state park in the Wisconsin Dells region. It contains Mirror Lake, a narrow reservoir with steep sandstone sides up to 50 feet tall. The Dells of the Wisconsin River, also called the Wisconsin Dells, is a 5-mile gorge on the Wisconsin River in south-central Wisconsin. 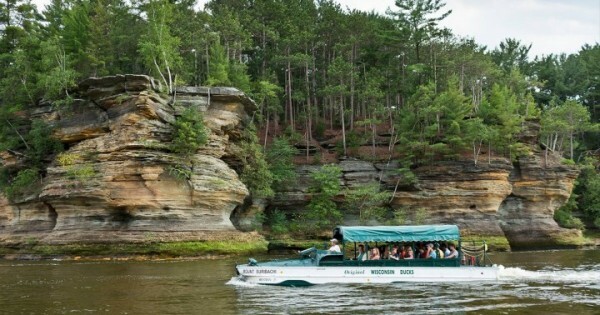 The resort is located on the Upper Dells of the Wisconsin River, 3 miles north of downtown. The Seth Peterson Cottage is a two-room lakeside cottage located in Mirror Lake State Park outside Lake Delton. The Atlantis Hotel and Waterpark is a resort hotel with an indoor water park located in Wisconsin Dells.